I always love upgrading my personal computer and that is why I always prefer using a PC than a laptop for the sheer amount of customizability the former offers in terms of hardware upgradability. I had last upgraded my computer in May 2008 which was a complete upgrade which included a new processor, RAM, motherboard, graphics card and a new cabinet to accommodate all these. Back in 2008 2 gigs of RAM was more than enough to keep the system running smoothly and a GeForce 8600GT card was adequate for playing games (of 2008) at decent frame rates on my Viewsonic 19in LCD. Back to the present this machine couldn’t even handle the latest game at 800×600 it choked and coughed each time I played Call of Duty: Black Ops and Batman: Arkham Asylum framed too much. 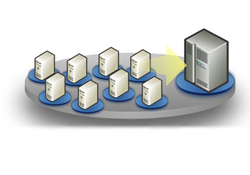 I also used VMware Player and VirtualBox to prepare for Microsoft and Red Hat certifications and this system couldn’t run more than 2 Windows 2k8 VMs or 3 RHEL VMs concurrently. I finally decided to upgrade my system so that I could play the latest games with all bells and whistles turned on before the world ended in 2012 !!! I decided to do a complete overhaul again by upgrading the process, RAM, motherboard and graphics card. After months of planning (and saving!) I fixed 2nd Jan 2012 as the date to do this hardware shopping. I hopped on to a public bus to the infamous Narasinghapuram Street a.k.a. Ritche Street in Chennai. Before reading further please note that all prices mentioned for each product are outdated at the time of this writing, so don’t take it as a thumbrule. The currency is INR (Indian Rupee). This was factor which made me think and rethink before narrowing on AMD or Intel. I wanted to buy a quad core processor and AMD seemed cheaper of the two. The cheapest available Intel quad core processor was Core-i5 2320 3.0GHz processor but was retailing for around Rs. 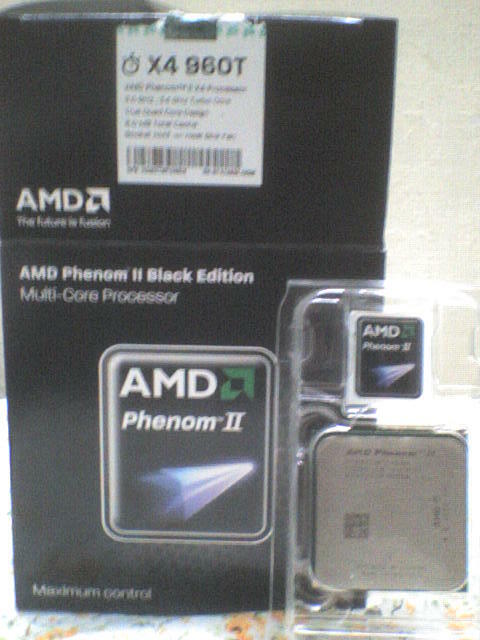 11,000 I was neither willing to expand my overall budget nor willing to reduce the budget of any individual component so I bought an AMD Phenom II 960T Black Edition Processor. Since this is a Black Edition processor its multiplier is unlocked so overclocking is a breeze. You are not restricted buy the RAM’s or chipset’s overclocking ability, just increase the multiplier and and the processor is overclocked without affecting the RAM and chipset frequency. Even though I have wrote about the processor first it the motherboard which has to be concentrated first when upgrading because it is important for the stability of the system and also decides the upgradability of the system. 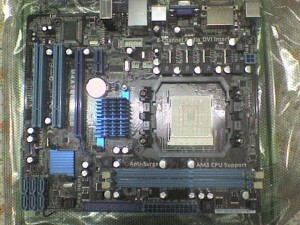 I had two choices to make regarding the chipset AMD or nvidia nForce. Here to I prefered AMD because it was current player in the market. 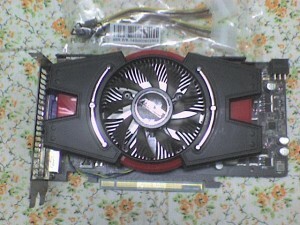 The last chipset released for the desktop segment by nvidia was nForce 980a so the market is currently flooded with motherboards based on AMD chipsets. One or two with nvidia chipsets might catch your eye but the shopkeeper has to dust the package before showing it to you so it is best to go for a AMD based motherboard for a AMD processor. 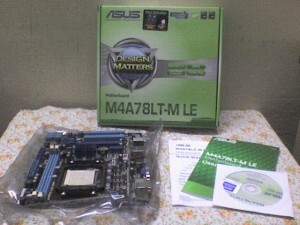 I choose the Asus M4A78LT-M LE, an AMD 760G chipset motherboard because I am personally a fan of Asus. 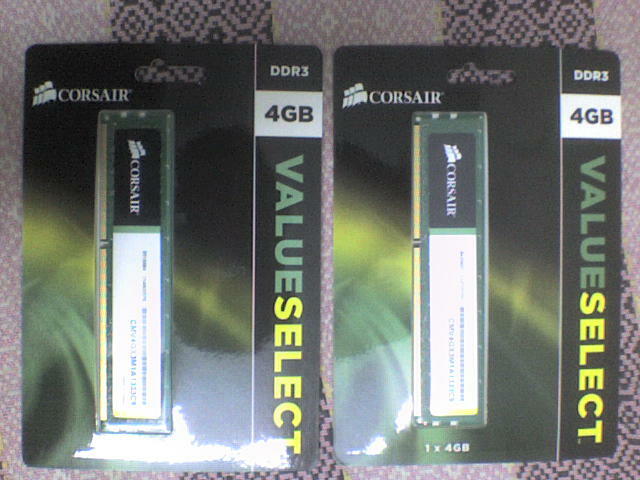 The motherboard I bought had only 2 DIMMs supporting upto 8GB RAM so I wanted to utilize it fully as DDR3 is dirt cheap nowadays. 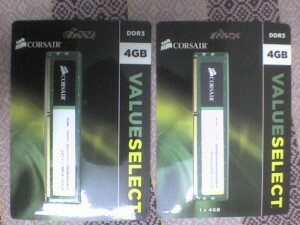 Transcend and Corsair Value were retailing for the same price but the latter had a whooping 10 year warranty so I bought 2 modules of 4GB Corsair Value Select memory which equals to a total of 8GB memory! Lets talk about the hero of the article now, I call this hero because one of the main reasons I was upgrading my computer was because I wanted to play games with all bells and whistles turned on. 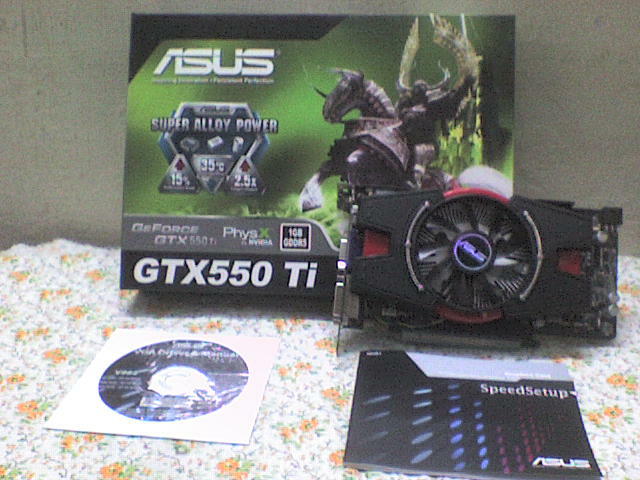 I wanted to go for a nvidia chipset as it supports 3D vision and physX, the decision was between the GeForce 550Ti and GTX 560. 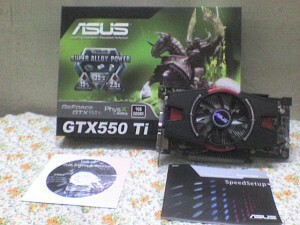 If I go for the GTX 560 model the cost would go way beyond my budget so I settled for a GeForce 550 Ti model manufactured by Asus again. It had one DVI port, one D-Sub port and a HDMI port too. The only downside was it occupied the space of two ports. It draws power from a 6 pin PCI-E connector and has 1GB DDR5 video RAM. How can I forget the most important component required to power up the entire rig. I had a Zebronics 400W power supply which will never satisfy the needs of this graphics card, quad core processor and 8 gigs of memory. 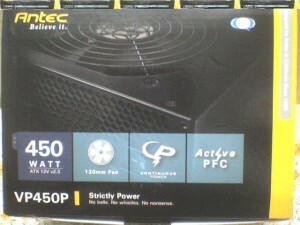 The shop I visited had Antec and Coolermaster power supplies but the latter had only models upward 600W (that shop stocked only those). 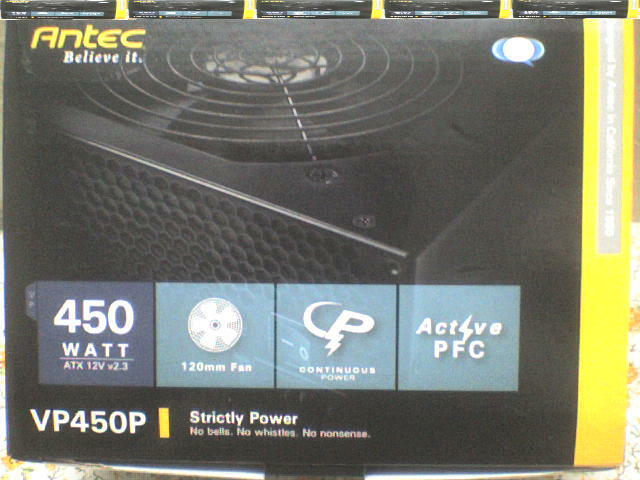 It would be an overkill to buy those so I bought an Antec 450W SMPS. 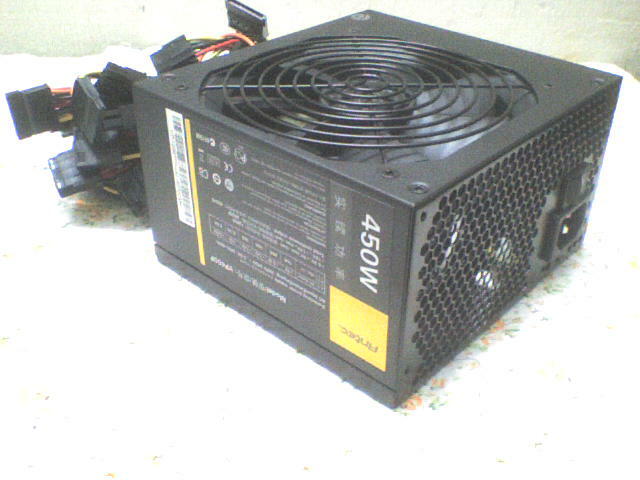 It was a black coloured model with 4 SATA power connectors, 4 molex power connectors, 1 PCI-E power connector, 1 floppy power connector and 2 ATX 12V connectors. More than enough for my needs. 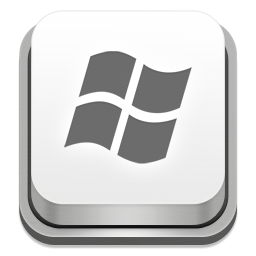 I installed Windows 7 Ultimate x64 to use the full potential of 8GB memory. To sum up this article here is the complete configuration of my PC. Watch out for another article on benchmarking this system.